Gorgeous handmade beachy necklaces from a variety of artisans. 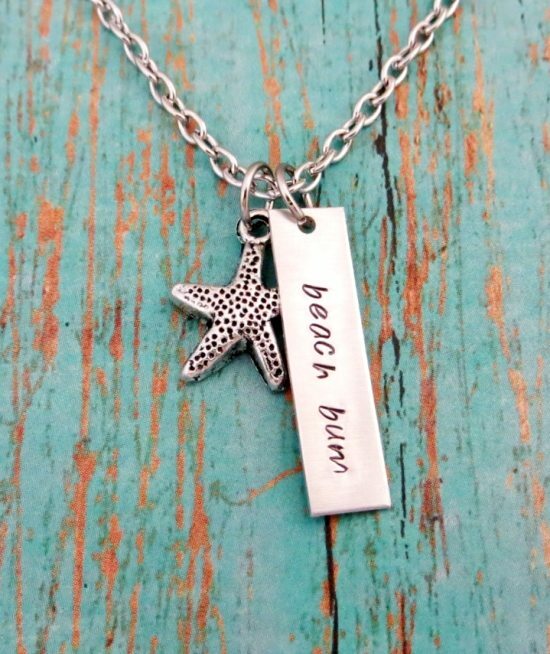 Hand stamped with beach quotes that speak to the beach enthusiast! 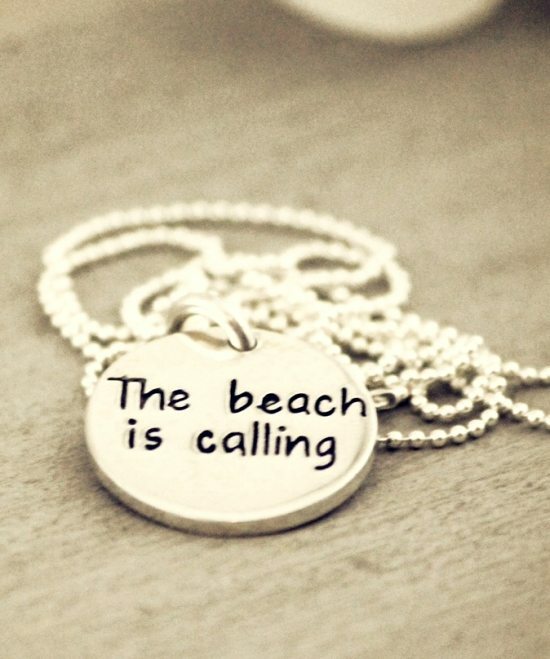 Personalize with the beach or word(s) of your choice. 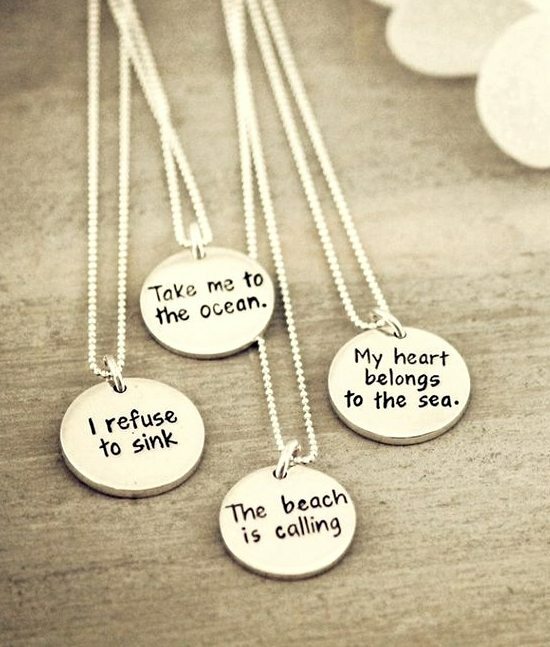 There are a lot of lovely hand stamped beach quote necklaces out there and to select just a few was no easy task. I looked for simplicity, quality and crispness of the letters. 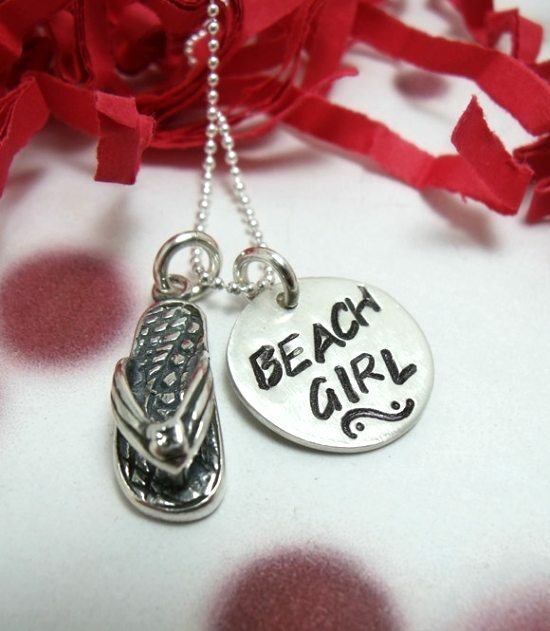 I think these beach necklaces are some of the best! I found them all on Etsy, except for Wilton Artisans. And just in case (by the time you read this) an item has sold, simply click on store link and browse inventory. You might find something else that you like! 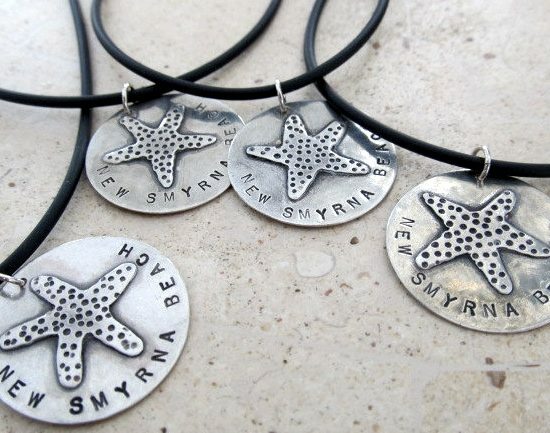 And of course, feel free to browse ALL Hand Stamped Beach Necklaces on Etsy! You might want to make yourself really comfortable, maybe grab a cup of something, there are more than a thousand necklaces listed under this keyword phrase. 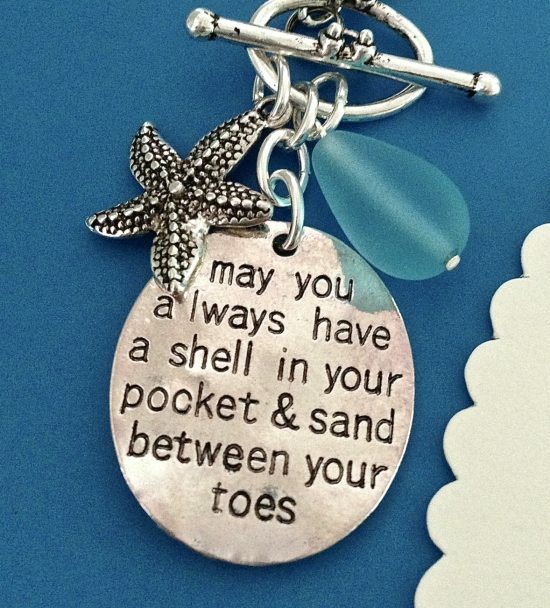 May you find the beach quote necklace that speaks to you! What a very lovely way to end an evening by finding my personalized starfish necklace on such a fun spot! I so very much appreciate being featured! 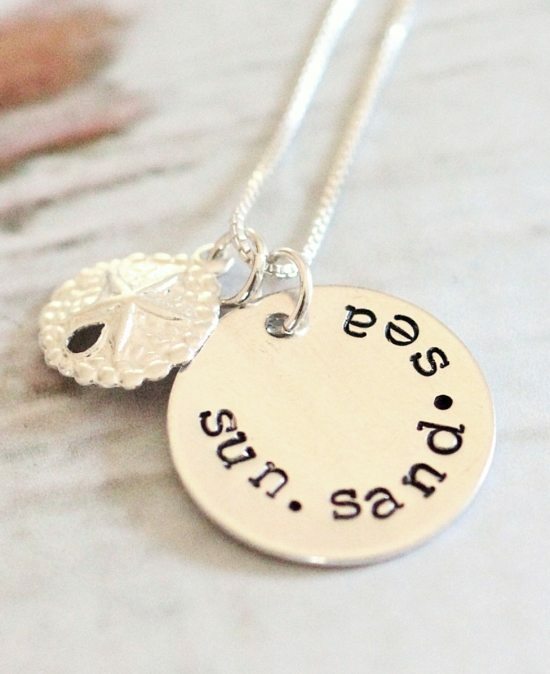 Are the hand stamped beach necklaces STERLING SILVER or plated?? Hi Jersey Girl. Thanks for stopping by! Please check with the sellers by following the links. Okay? Thanks! Thank you for sharing my beach quotes collection!